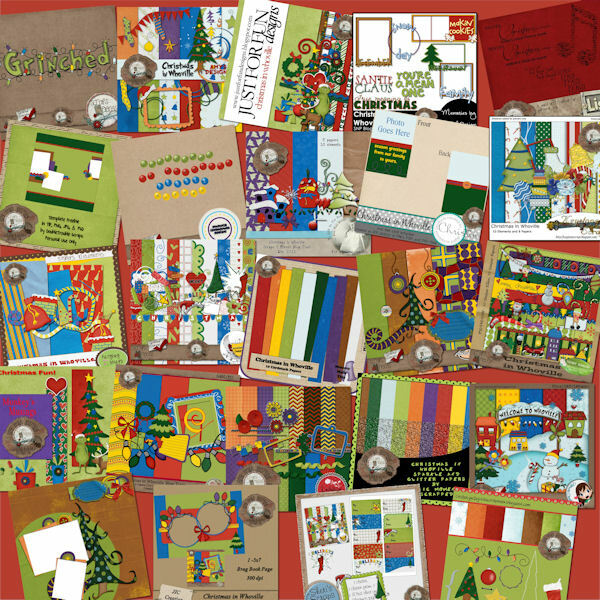 Happy holidays and welcome to the second monthly blog train journey brought to you by the designers and members of Scraps N' Pieces. 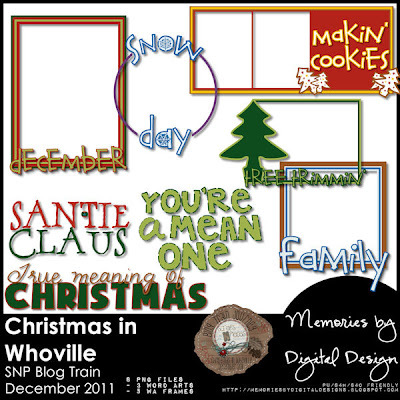 This month's theme is Christmas in Whoville, and what a fun fun theme it is! Be sure to click through all the blog links below (really...all of them - some great pieces here) and round up a Whovillicious kit. Here is my part. Click here or image to download. ahhh this is such a cute blog train.. a big thank you for all you ladies who share their time and talent so generously..for those who did not use 4share thank you too. Wishing you and your family a very Merry Christmas and a Happy & Healthy New Year. Thank you for your great gift!! Looks like a super great kit. Thanks for you part. Love your wordart - thank you for sharing! Thank you for the great wordart and frames.